Maybe you have a husky furball on your hands. Maybe your furry friend has been losing weight. Maybe you just brought your first kitten home. No matter the situation, a cat owner will often reach a point where wondering how much to feed a cat comes to mind. While animal nutrition doesn’t have to be exact science, there’s still some rhyme and rhythm to it. You need to ensure your furry friend gets proper nutrition. If you don’t, your cat won’t be as healthy as they could be. Once you understand all the variables at play, you can move to step one: finding the right cat food for your furry friend. As all cats are different, there are a number of different foods on the market. Wet cat food is generally better for your cat than dry cat food. This is because wet food allows the cat to absorb more water from food than drinking. This is more natural for felines. Dry food can be ok for your cat, but you’ll need to buy a high-quality brand. 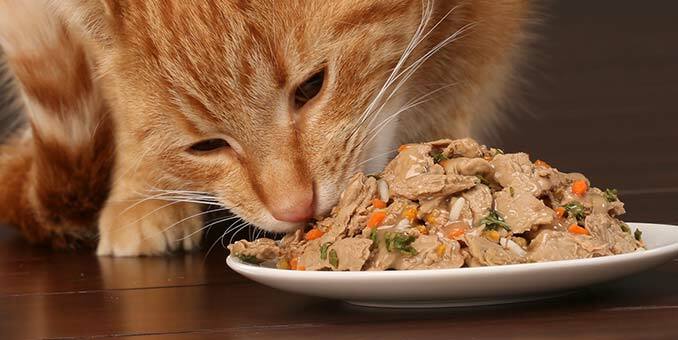 Focus on finding a dry cat food that is high in animal protein content and low in plant-based protein. Cats cannot digest plant-based protein that well. Keep carbs low. Carbs should be 10% or less of the mix found in your cats dry food ingredients. Any higher percentage and it’s not healthy for your furry friend. 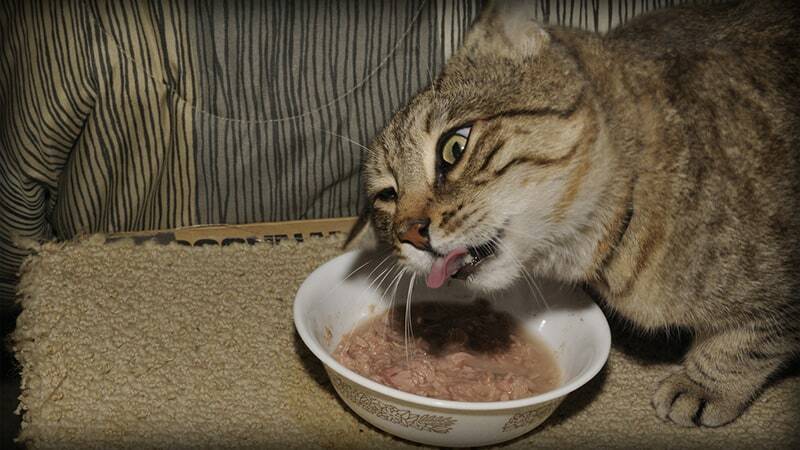 Wet cat food should be made of meats. There shouldn’t be many by-products or fillers. Now we’re getting to a little science here and there. Most veterinarians agree that an average cat requires around 25-30 calories per pound of body weight. 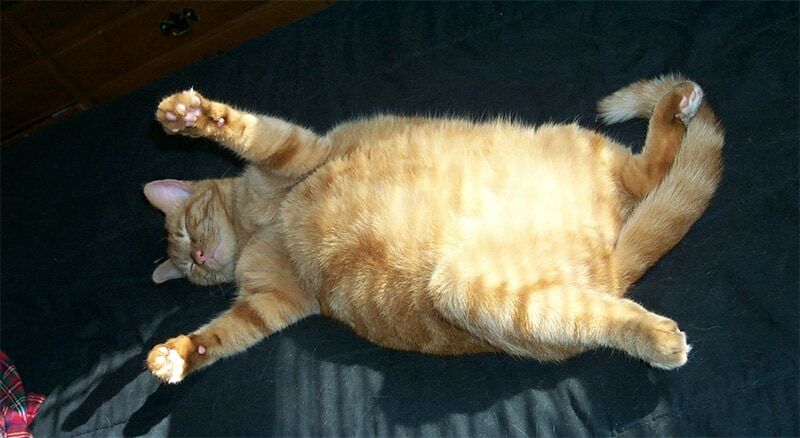 As such, a 10-pound cat would need up to 300 calories each day. On average, a cup of dry food contains 300 calories. A cup of dry food typically contains around 250 calories. Once you have your cat’s weight, you can start finding the exact amount of food to feed your feline. If you plan to offer both a wet and dry food diet, try to give your cat 30-50% of their calories from wet food. You don’t want your furry friend meowing and begging for food the moment you walk through the door each day. As such, you’ll want to keep your feline well fed throughout the day. While there’s no exact science here, the best way we’ve found to feed cats is a bi-daily schedule with free feeding of some dry kibbles throughout each day. Fill your cat’s feeder with their allotment of dry food for the day. Then offer wet food in the morning and the evening. This allows your furry friend two big meals during the day, along with dry food in case he or she gets hungry while you’re away during the day. This feeding schedule typically keeps cats happy and full – while ensuring they don’t get too husky. Remember that cats change over time. Just like humans. As such, you may need to change or adjust your furry friend’s diet from time to time. If your pet has gained a lot of weight after a yearly vet examination, it may be time to go on a furball diet. But for the most part – you won’t need to make any changes to your cat’s diet once you dial it in with calories, schedule, and more. The only time a change is needed is if you notice a big change in your cat’s weight. The goal of your cat’s diet is threefold. Keep you cat happy, ensure they don’t get overweight, and make sure they stay hydrated while getting protein. If you can fulfill these requirements, then you’ll be well on your way to feeding your cat properly. And we both know what that means – a happy furry friend!